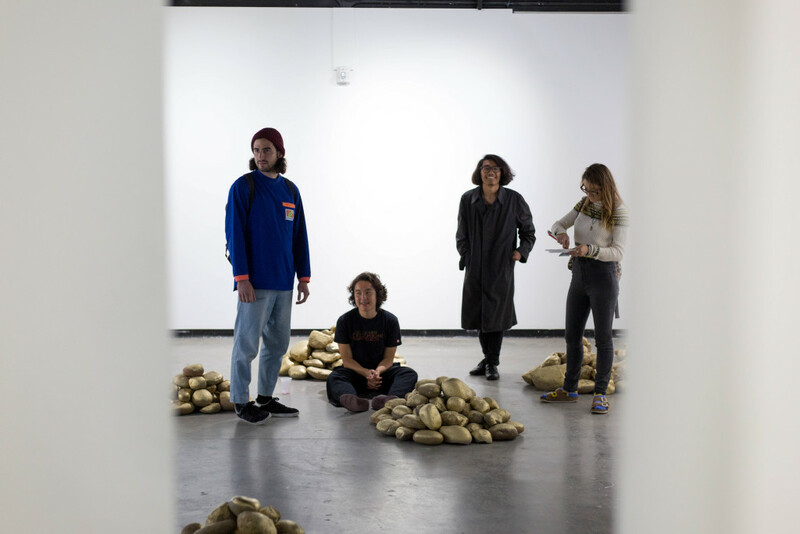 “A Fox’s Craft,” a recent collaborative performance installation by Yuka Murakami and Gianna Zamora, provides an insightful tribute to the now-demolished UCSD Crafts Center, a feature of the 56-year-old campus for 40 years before its demolition in 2015. Many students are unaware of the presence of the former UCSD Crafts Center, a space where the student body, faculty and greater community could once engage in creative projects and take a variety of unique classes. Opened in 1972, the Crafts Center offered art-making classes such as pottery making and glassblowing, and became a “nucleus of campus creativity,” according to the artist’s statement. According to UCSD’s Crafts Center website, in 2012 the Crafts Center was closed due to a lack of funding. In Spring 2013, a fee increase referendum was proposed by A.S. Council as well as the Graduate Student Association to restore funding to the Crafts Center for operations and improvements, but failed to be approved by the student vote. In Spring 2015, upon the passage of a new financial model and referendum that did not include the Crafts Center program, the Crafts Center remained closed indefinitely. In September 2015, by order of the UCSD Fire Marshal, the Crafts Center was torn down, leaving nothing but a pile of rocks in its wake. “A Fox’s Craft” comments on the Crafts Center’s vulnerability to these institutional decisions, speaking on “the paradox of movement” of institutional change, as stated in the artist’s statement. Featuring video and audio from the demolition of the Crafts Center, the installation highlights three moments in the Crafts Center’s timeline: functioning, being demolished and carrying on its legacy through students making the art for the exhibit. A video of the functional center, with close ups of its blown glass and ceramic work, is placed in sharp contrast to the dirty images of destruction in the demolition video. In between the two videos is footage of students gathering rocks and painting them for the exhibit. 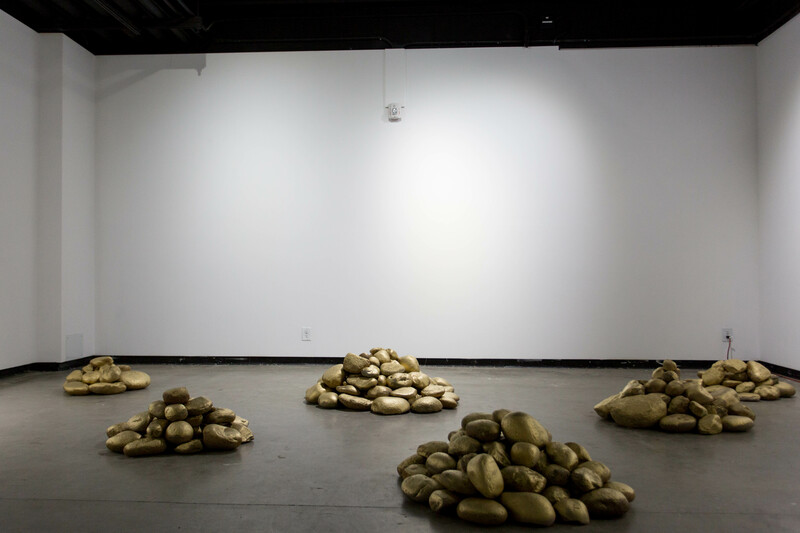 Also scattered around are piles of rocks taken from the Crafts Center site, painted gold and placed upon works of art by visual art and non-visual arts students that illustrated the theme of movement, contributing to the exhibit’s theme of the impact of institutional dynamics. The space, created by the combination of these elements, has the effect of being in the demolition zone itself, allowing viewers to feel the essence of the Crafts Center and its role in the lives of students. 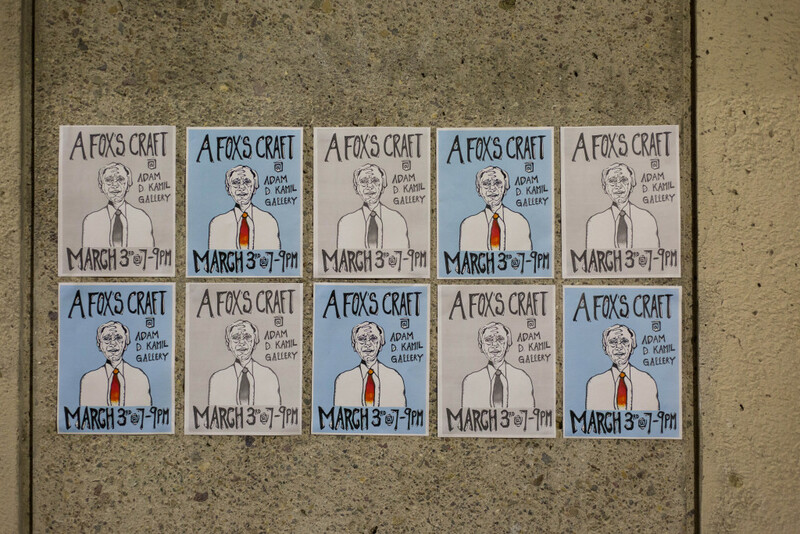 Through its recreation of the Crafts Center demolition site and presentation of the craft center’s history, “A Fox’s Craft” reflects on the reasons for and the effects of institutional change on the creative community here at UCSD. Murakami’s and Zamora’s exhibit ran Feb. 29–March 4, 2016 at the Andrew D. Kamil Gallery.